Mrs Hunter is the lucky Year 7 and 8 teacher at Outram School. Room 5 is an exciting place to be where students strive to reach their potential, have a terrific sense of humour, are loyal and wonderful to teach. Room 5 is the senior class at Outram school and is comprised of a mix of Year 7 and 8 students. Academically, there is a strong focus within the class of ensuring the students are prepared for secondary school. Many of the students have put their hands up to be school leaders, as School Council members or as House Leaders. These school leaders play an integral role in the life of the school. 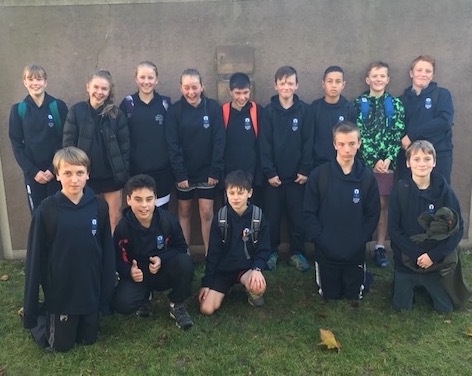 These students help organise and provide key support on school occasions such as sports days, social events such as discos, fundraising events and House events. They also provide leadership in important school areas such as the Allen Centre, sport and the Envirogroup. 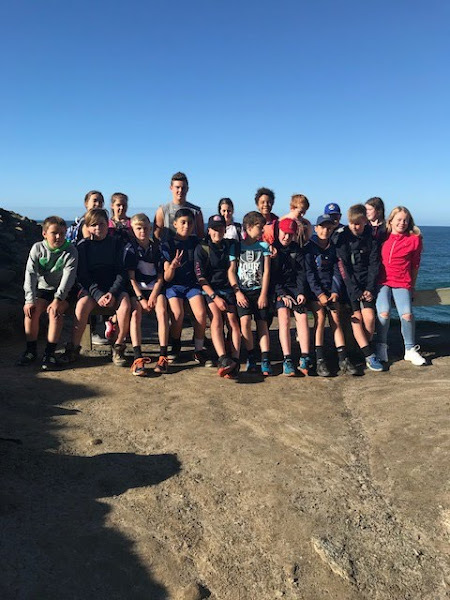 There is a strong Education Outside the Classroom focus, this is delivered through school camp, a syndicate wide termly focus on an EOTC activity and also a programme which is tailored for the senior class - CAPES+. 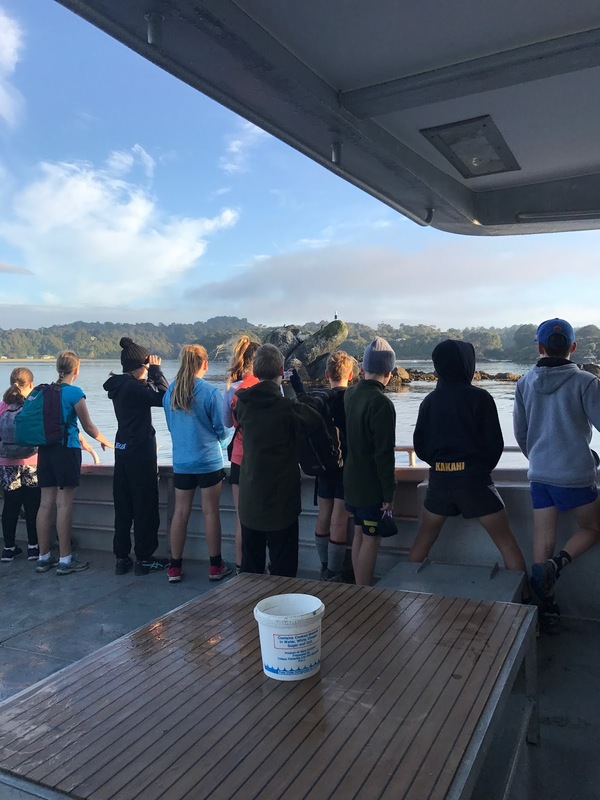 This looks at physically challenging and extending our Year 7 and 8s in a programme that takes part outside the regular classroom programme. As a group, Room 5 students set themselves high standards. Students are interested in their learning, they are given opportunities to reach their potential, they have a sense of humour, they are loyal to each other, they are a pleasure to teach. 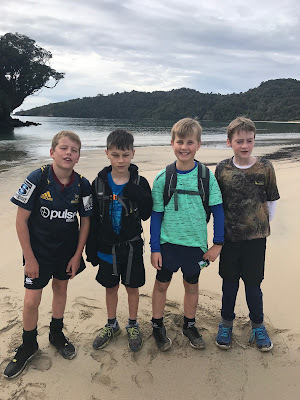 The Year 8 Student Council Member (William, Finn, Sam, Ted and Luke) launched the "Little Einstein" sponsored quiz fundraiser by doing a bit of a song and a dance in assembly on Monday morning. 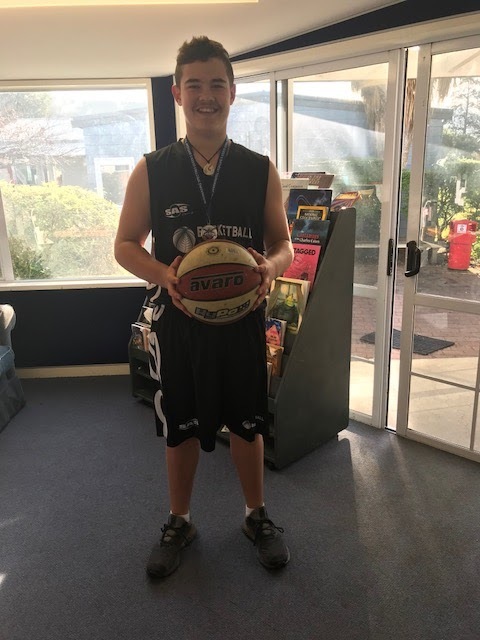 Jacob has returned from Melbourne where he was a member of the New Zealand Under 14 Basketball Team. They were taking part in an Australian tournament. The New Zealanders came 2nd in the tournament. 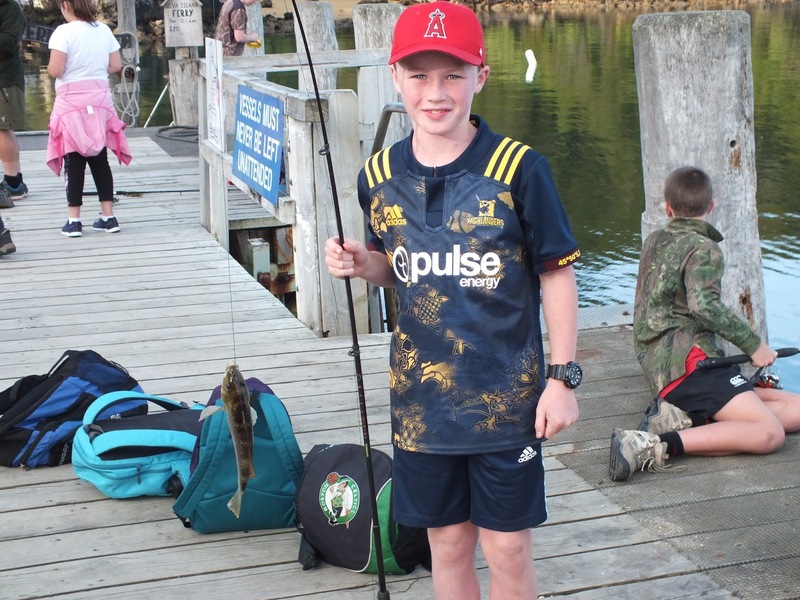 Jacob said the best parts of his experience away with a NZ side was putting on the uniform and meeting new people. “I liked how Amanda Wilson talked about starting with nothing, and she went on to become really successful. Her message was don’t be afraid to stand out and be different – this difference is what can make you be successful” - Sam Cuthill. (Amanda is best known through her involvement in the hit NZ show Keeping Up With The Kaimanawas. Amanda has travelled to America and Australia to rescue and tame wild horses with her sisters, and their work features in six bestselling books). Our first piece of art up on our walls at the start of the year were self portraits painted in the style of American pop artist Roy Lichtenstein. Kerry Kakahi and I were delighted to attend the National Young Leaders Day on Monday with all of our Year 8 students. This event is huge, with schools from throughout Otago and Southland taking part. This annual event is designed to motivate and inspire our students with regards to their ability to be able to make a positive difference in our world. A lot of the themes that were explored during the day were aligned with the fortnightly leadership sessions that Kerry is facilitating with all of our Year 8 students. The 2017 National Young Leaders Day was themed around a proverb “E KORE AU E NGARO, HE KAKANO I RUIA MAI I RANGIATEA”. This translates to “I AM A SEED BORN OF GREATNESS”. Key speakers included actor Aaron Jackson, best known as Hayden from Shortland Street. He spoke about how all of us have times when we feel like we have nothing to offer. A key quote from Aaron was “Do others’ opinions affect the way you see yourself?” Daniel Flynn was a young guy from Melbourne who came up with an innovative and incredibly successful way to raise funds and awareness for clean water projects in third world countries. His big idea was that everyone has the potential to make the world a better place. His quote, which struck a chord with a lot of our students was, “impossibility is just someone’s opinion, not a fact”. 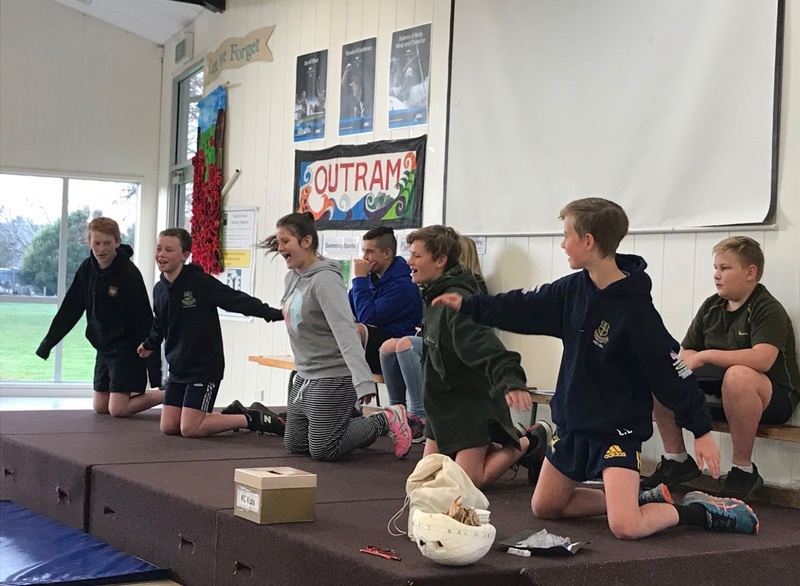 Silver Fern Jodi Brown spoke to the students on the importance of creating and being in a great environment. Her key quote was “You become like the people you spend time with, so choose who you spend time with carefully.” Brothers in law Adam Gardner and Duane Major were the pair behind the recent successful Give-a-Little crowd fundraiser to buy Awaroa Beach and make it part of the Abel Tasman Park, they spoke on the theme of everyone is capable of achieving greatness in big and small ways every day. Their quote was “You can leave the world a better place than you found it”. Matt Brown, internationally successful hair artist, was another speaker who made a big impact. His message was about the importance of being kind and also about not needing to look to celebrities to be your role models, look instead to family and friends who inspire you, who are there for you. All of the Year 8s were able to discuss who their favourite speaker was and what they found inspiring about their key message. A selection of their responses are included below. The theme of the day was the comparison of our students to that of a seed – they have unrealised potential. Our hope is that the ideas from the National Young Leaders Day will “plant a seed” in our senior students’ thinking. They are all capable of making a difference. It may not happen now, but with continuing support and nurturing they are all capable of reaching their potential. A big thank you to all of our Year 8s for not only representing Outram at the National Young Leaders Day, but for showing willingness to take on board key messages and ideas. Also a big thank you to Avon Robertson for transporting students to and from the event. Outram Year 8s on their lunch break from National Young Leaders Day. Camp was an amazing experience! We managed to pack a lot into our five days away. We orienteered through the Oban township, fished off the wharves at Golden Bay and Halfmoon Bay, visited Ulva Island, went fishing for blue cod on the Aurora, water taxied up to Port William and then tramped out, had a basketball competition in the gym at the Stewart Island Event Centre, visited the museum, had an evening talk with a DOC ranger, ate the most amazing food, experienced a very rough crossing of Foveaux Strait (not something any of us want to repeat) and had a go at track cycling at the Southland Velodrome. A big shout out to our awesome parent help - Greg, Craig, Rob, Darryl, Caleb, Andrew and Paul. Finn shows off his big fish! 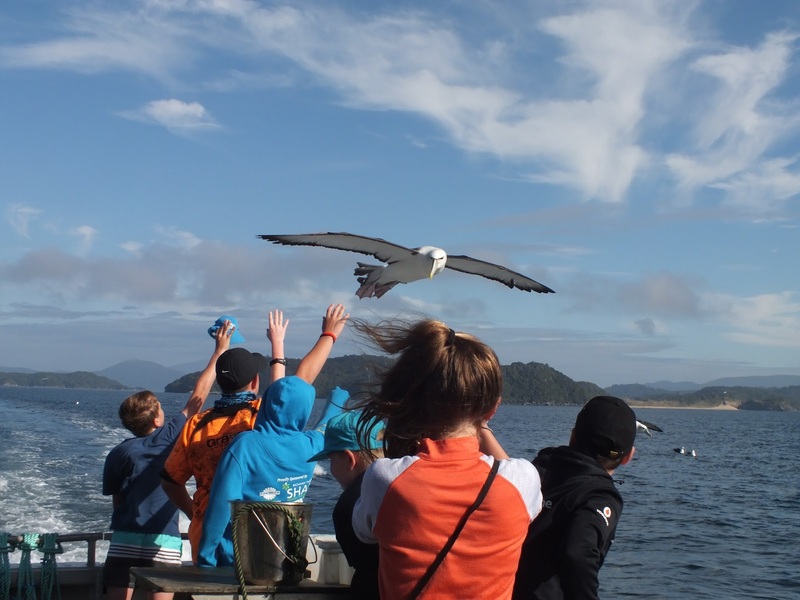 On board the fishing charter Aurora, headed to Ulva Island. Mollymawk looking for an easy meal! 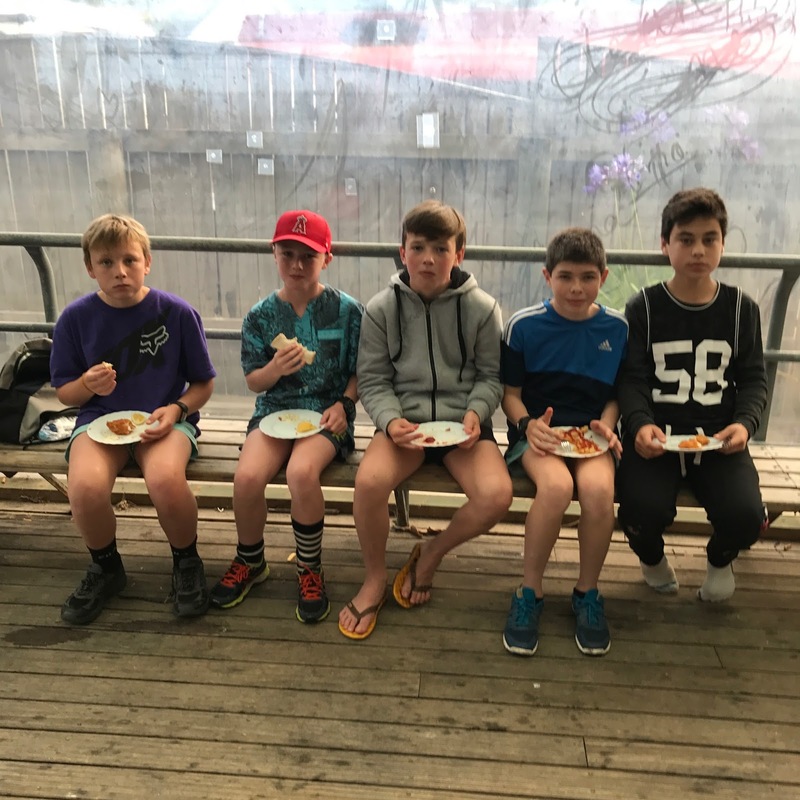 Fish and chip dinner after successful day of catching blue cod! 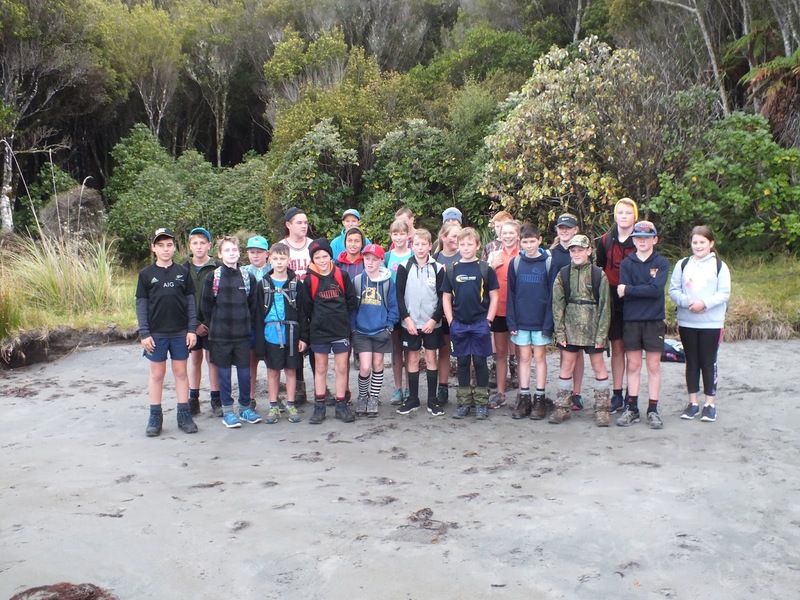 Group photo at Port William. Rylee, Caleb, Luke and Ethan at Maori Beach, on the walk out to Halfmoon Bay from Oban. 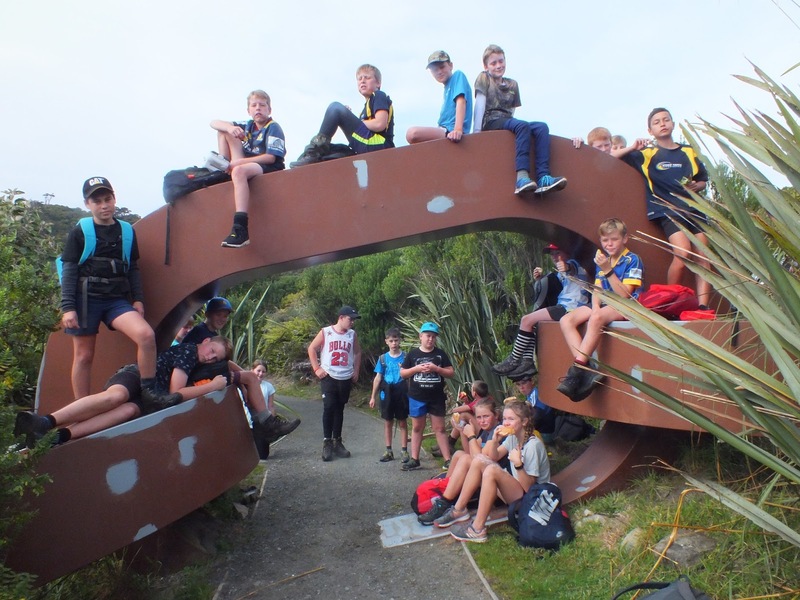 Posing on the anchor chain sculpture which marks the entrance to the Rakiura National Park. Room 5 Outram School. Ethereal theme. Theme images by luoman. Powered by Blogger.